How to retrieve API details from Ecwid admin panel? 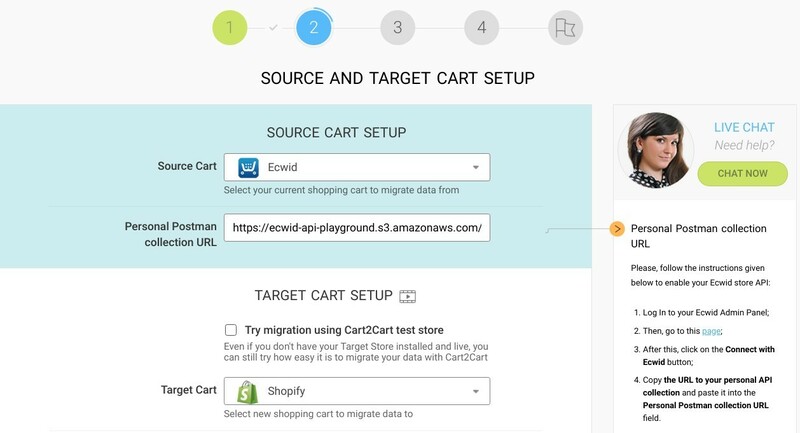 In order to perform an Ecwid migration, merchants will have to provide their store's API details. Remember! 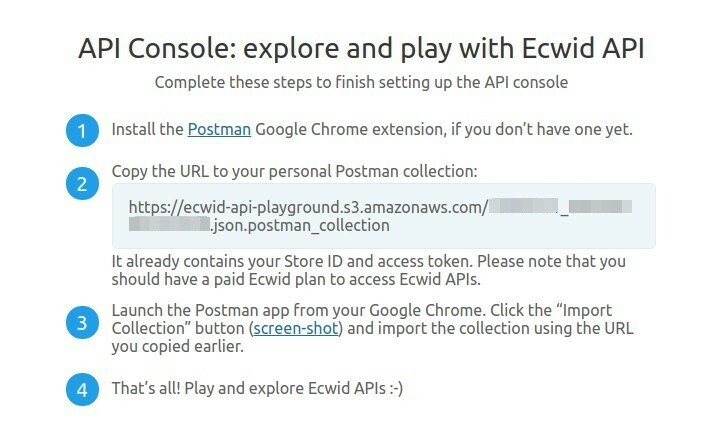 To access the Ecwid APIs, you should have a paid Ecwid plan. (Venture, Business or Unlimited). Merchants on Free plans cannot use Ecwid API. 2. Tap on the link to get the access to the data you need. 3. After this, click on the Connect with Ecwid button. 4. Then, copy the URL to your personal Postman collection. It already contains your Store ID and access token. 5. Then, go to the C2C migration Wizard and paste the URL into the Personal collection URL field. Note: If you have problems and cannot access the page with API details from your Admin Panel, contact Ecwid Support Service.